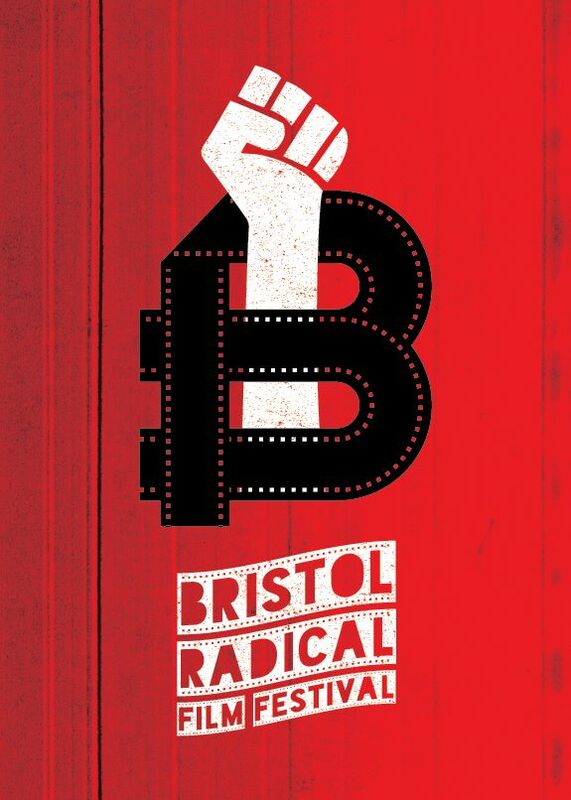 Headed down to the Old Malt House in Bristol yesterday to catch a piece of the Bristol Radical Film Festival — the programme of shorts. With over 2000 submissions, the films they chose were wonderful indeed. In many ways short films face the same challenges as short stories — creating something to hold the attention, convey a message. To open up a character in a very short amount of time, or perhaps rather than a character a city, an aspect of human nature or action. These last featured in the opening film One Million Steps (Eva Stoltz), and this turned out to be my favourite. In truth what I loved most, though, was the feeling of the whole, seeing so many different kinds of film exploring various aspects of resistance. Still, this was brilliant and beautiful and expressive of so much in a very unique way. “Rhythm as a universal language, inspired us to meet with a city and its habitants through the rhythms of the steps we take in our lives. We chose Istanbul as our destination, a city of extreme contrasts that is over 2000 years old and subject to the expansion of a neo-liberal economy. What pressures does this generate? What becomes visible when we look at the daily steps and movements of the habitants? With a small crew, we filmed for a week in April 2013. End of May 2013 country wide protests broke out and our initial questions suddenly became visible and audible everywhere. Not only did the movements of the people in the streets change – protesters and policemen pressing through the streets, people occupying a park to prevent it from demolition, banging pots and pans out of windows at 9pm – but people seemed to ask themselves different questions: how will this continue? How do I want to live and relate to my fellow citizens? What will be my next step? 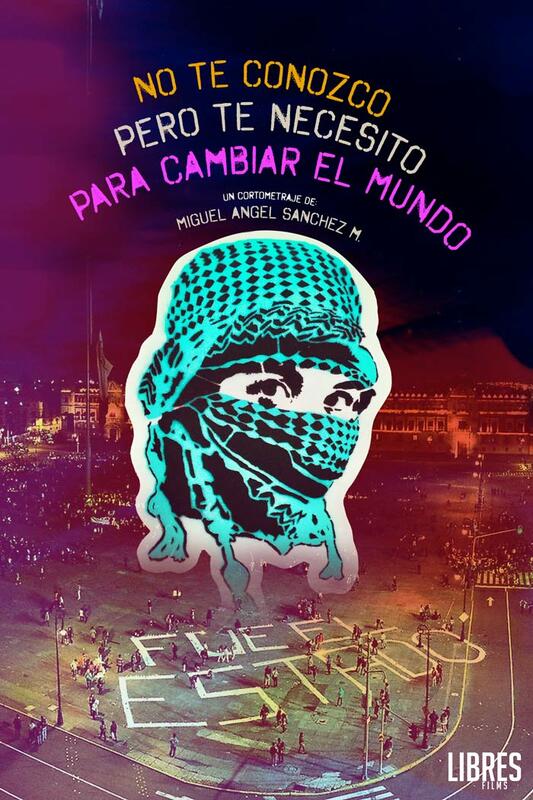 Through the changing sounds and movements in the city, we felt a peaceful and creative resistance against a system that has alienated itself from the people and their needs. In the film we see through the eyes of the dancer how people reclaim their living space and fight for a piece of freedom. The dancer is a-political and playful at first, but then she discovers her affinity with the people in the protest and uses her dance as a powerful expression of solidarity. There is so much here about life, music, daily resistance and extraordinary moments of resistance. 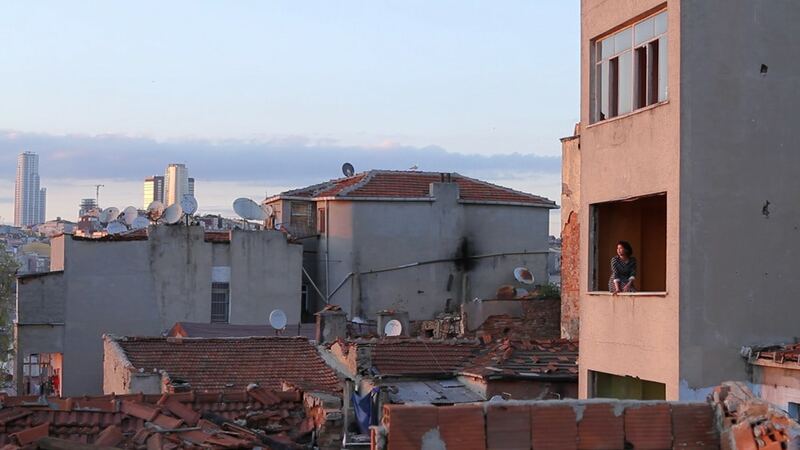 So much about what it means to live with the destruction of neighborhoods as context — a blog post on the Istanbul places lost since filming is here. This was followed by Silent Country (James Wren), a look at the future where even Bristish-born children of immigrant parents are being hunted down. I found it quite gripping — also curious that in the discussion afterwards some expressed that it needed exposition at the opening to set the scene, and that it was confusing. The curious thing is that Mark and I thought perhaps there was too much. 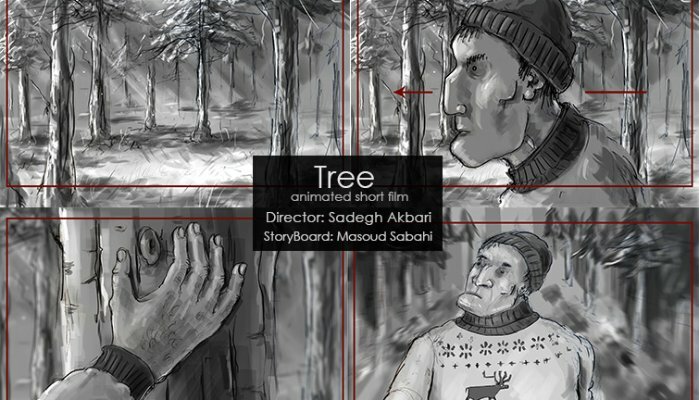 The Tomatoes Tree (Armin Mobasseri) — the struggle of two immigrants to cross the next border, the jokes and small talk of travel and the amazing contrast of this journey with that of the tourists wandering around taking pictures with their ipads. 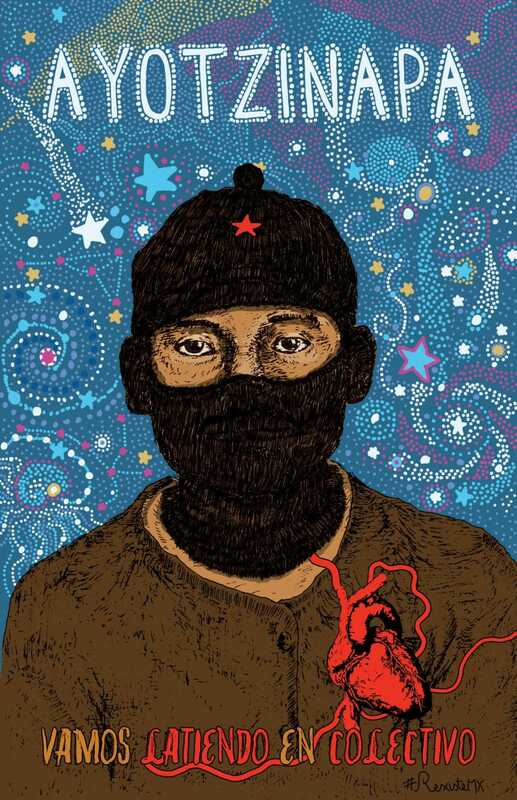 No Te Conozco, Pero Te Necesito Para Cambiar El Mundo [I don’t Know You, But I Need You to Change the World] (Libres Films) — A wonderful short documentary on Rexiste, a political action group using art and action to challenge power in Mexico. I watched this and realised suddenly how many opportunities we missed when we were organising in LA, to use film to expand our strategies and our solidarity. Also, drones are being used in fascinating ways. But I could imagine the ladies breaking out the stencils after seeing this. Pirates are the Best Customers (Alex Lungu) — I love infographicky sorts of things, and this was interesting enough, but if anything could have been said not quite to fit, it was this. That bit where the corporate executive is bouncing off the artists like a trampoline though? Amazing. Austerity (Ranos Gavris) — a powerful short film returning to the world of narrative, character and resistance, a very slow, moving view into the meaning of crisis in Greece. The director was there, as well, and it was good to hear him speak about it. It’s very short, wholly darkly unexpected. 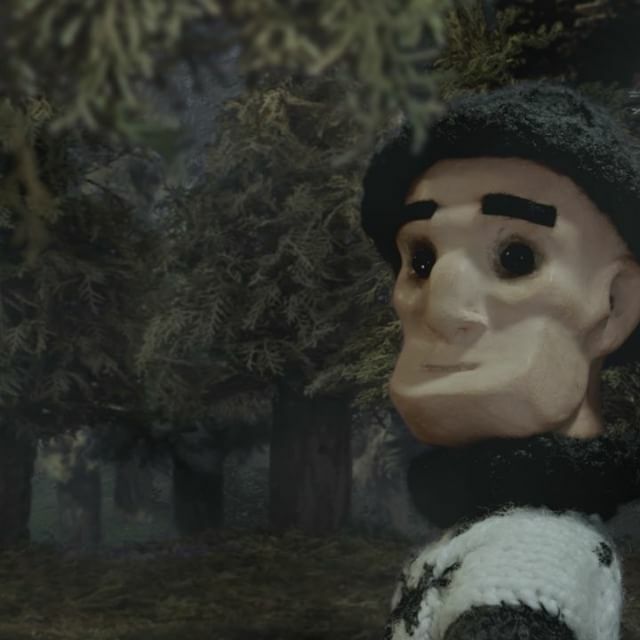 Short film is such an amazing media, I really need to remember to take more time, seek more of it out. These are nothing like the remains of great empires to be seen in Western cities, preserved like museums of history and proudly displayed. The people of Istanbul simply carry on with their lives amongst the ruins. Many Western writers and travellers find this charming. But for the city’s more sensitive and attuned residents, these ruins are reminders that the present city is so poor and confused that it can never again dream of rising to the same heights of wealth, power and culture. It is no more possible to take pride in these neglected dwellings, in which dirt, dust and mud have blended into their surroundings, than it is to rejoice in the beautiful old wooden houses that as a child I watched burn down one by one (91). Why this fixation with the thoughts of Western travellers, what they did on visits to the city, what they wrote to their mothers? It’s partly that many times I’ve identified with a number of them (Nerval, Flaubert, de Amicis) and…it was by falling under their influence and arguing with them by turns that I forged my own identity. 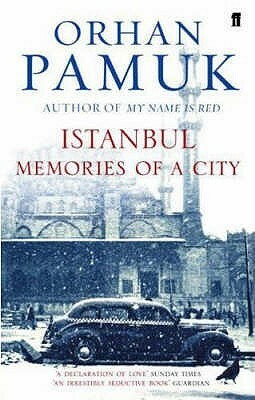 It’s also because so few of Istanbul’s own writers have paid their city any attention whatsoever. Whatever we call it — false consciousness, fantasy, or old-style ideology — there is, in each of our heads, a half legible, half secret text that makes sense of what we’ve done in life. And for each of us in Istanbul, a large section of this text is given over to what Western observers have said about us. For people like me, Istanbullus with one foot in this culture and one in the other, the ‘Western traveller’ is often not a real person — he can be my own creation, my fantasy, even my own reflection. But being unable to depend on tradition alone as my text, I am grateful to the outsider who can offer me a complementary vision…So whenever I sense the absence of Western eyes, I become my own Westerner. Istanbul has never been the colony of the Westerners who wrote about it, drew it, filmed it, and that is why I am not perturbed by (260) the use Western travellers have made of my past and my history and their construction of the exotic. Indeed, I find their fears ad dreams beguiling — as exotic to me as ours are to them — and I don’t look to them of entertainment or to see the city through their eyes, but also to enter into the full-formed world they’ve conjured up (261). Was this the secret of Istanbul — that beneath its grand history, its living poverty, its outward-looking monuments ad its sublime landscapes, its poor hid the city’s soul inside a fragile web? But here we have come full circle, for anything we say about the city’s essence, says more about our own lives and our own states of mind. The city has no centre other than ourselves (316).